Just over a year ago, my husband and I purchased our first home. We’ve been married 9 years and lived in small apartments for most of that time, so needless to say we are thrilled to have more space and a place that’s really our own. 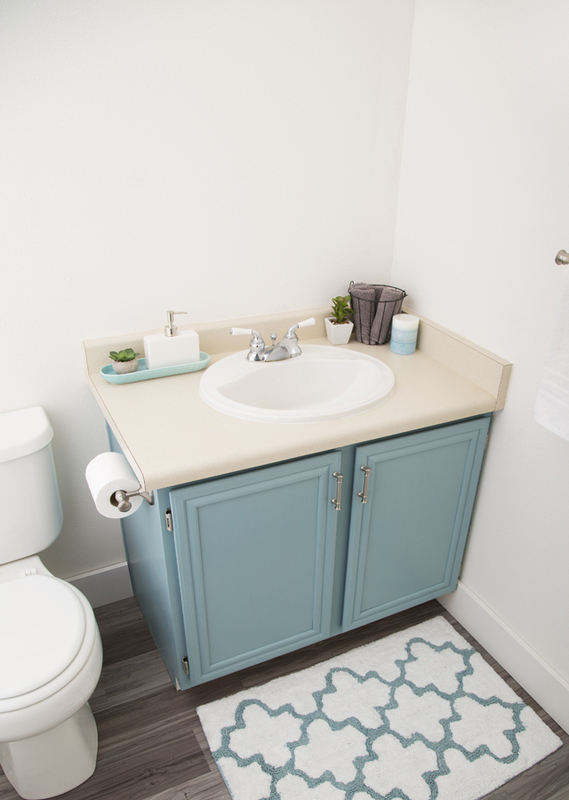 We have been slowly chipping away at getting things done around here and our little guest bathroom was high on my list! Since I couldn’t afford a brand new vanity, I decided to paint the existing cabinets for a more updated and clean look. 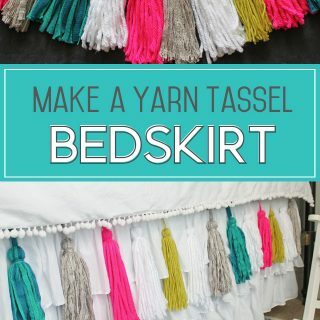 Now it’s one of my favorite DIY projects! 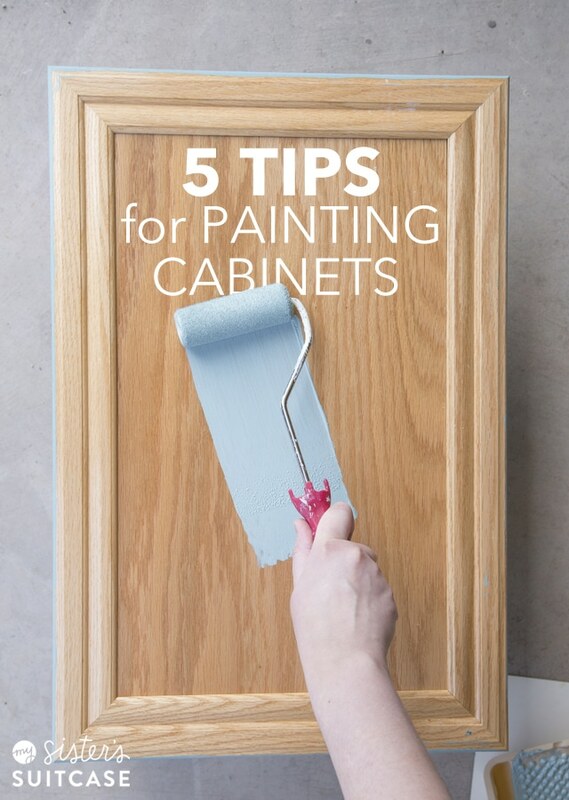 Here are 5 tips for painting your own cabinets. Always start with wiping down the cabinets (or even using a degreaser – here’s our favorite – on tough spots in the kitchen) to remove any dust and gunk. I missed a huge spot and found out the hard way when the paint peeled right off that greasy spot when it was dry! Depending on the type of wood and paint you are dealing with, you may need a light sanding also. With the paint I used (that I can’t wait to show you!) I didn’t actually sand at all, but a light sanding is optional. 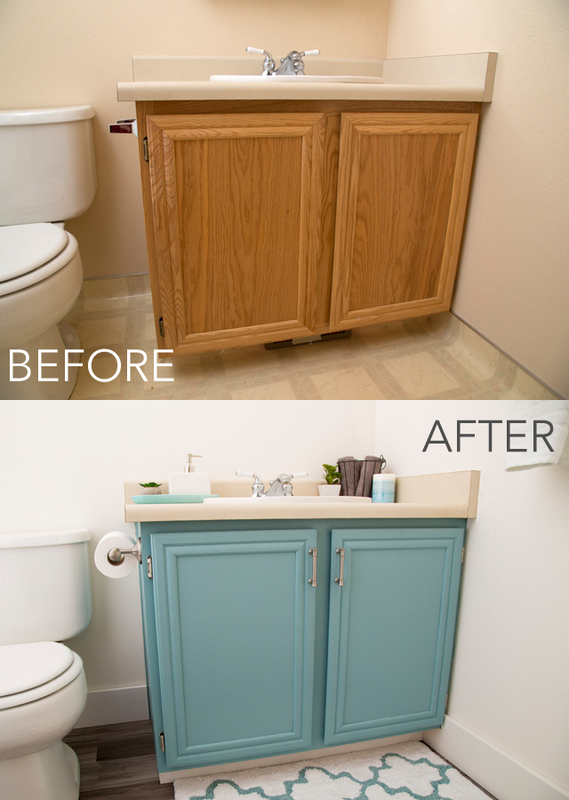 Remove the hardware and cabinet doors. I left everything inside the cabinets and just covered it with plastic. 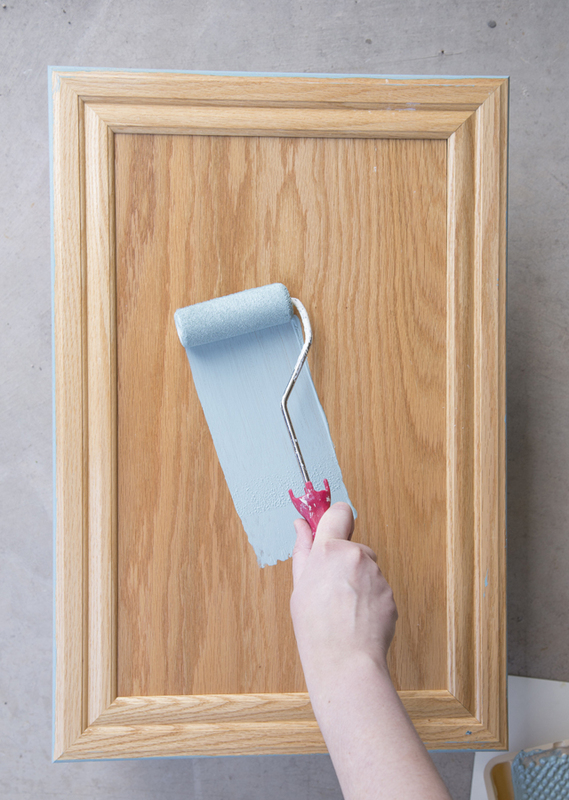 The type of paint you use on your cabinets is so important! 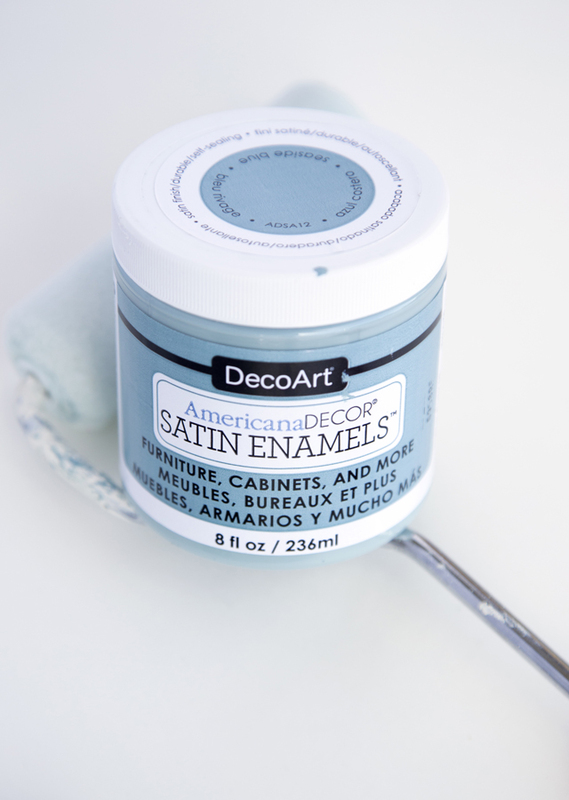 We have loved using chalk paint in the past, but when we heard about this new Satin Enamel line from DecoArt, we couldn’t wait to try it! 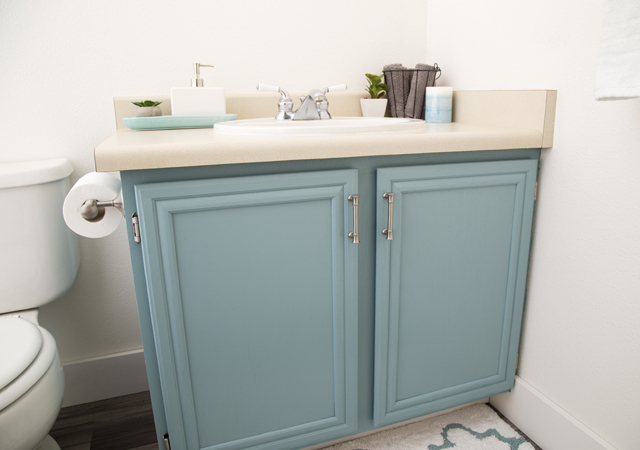 The Satin Enamels paint I used for the vanity cabinets is specifically made for furniture, bathrooms and kitchens because it cures to a hard, durable finish. I love the coverage of the paint – it goes on smooth and dries quickly. I would say most cabinets would need two coats of paint, but I did add a 3rd coat on the doors to minimize the wood grain texture. 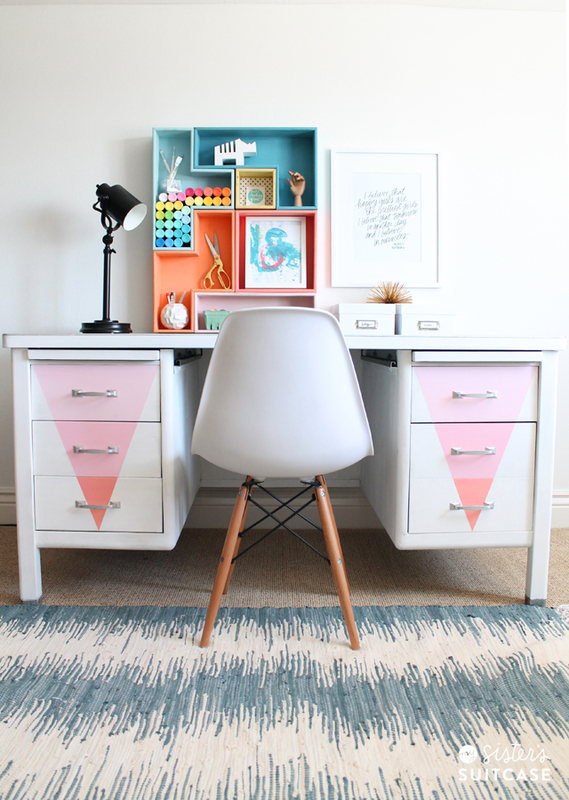 Be sure to test your cabinet color with the other room colors before you paint them all! Our bathroom before was so yellow and blah and uninviting. We freshened up the walls with white paint in a warmer tone to lessen the yellow tone in the countertops, since those couldn’t be changed. 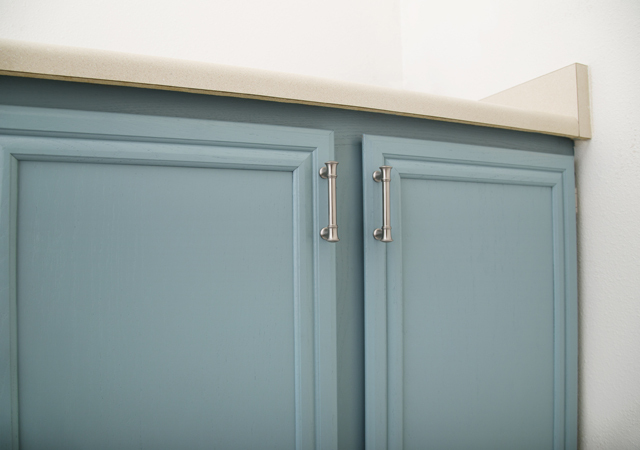 Our first cabinet color choice (a darker navy blue) just didn’t look right when we painted a test spot on the cabinets, so we went for something brighter. Adding a few blue accessories really helped pull in the final cabinet color (Seaside Blue Satin Enamel paint.) We also replaced the hideous yellow linoleum flooring and love the new look! 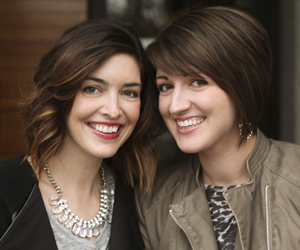 Stay tuned for the full bathroom makeover reveal in the next few weeks! This style of cabinet door was tricky when it came time to choose hardware, but I’m so glad we went with our gut and added these handles. (Find similar ones here.) They add so much to the whole look and make the doors much more functional too! 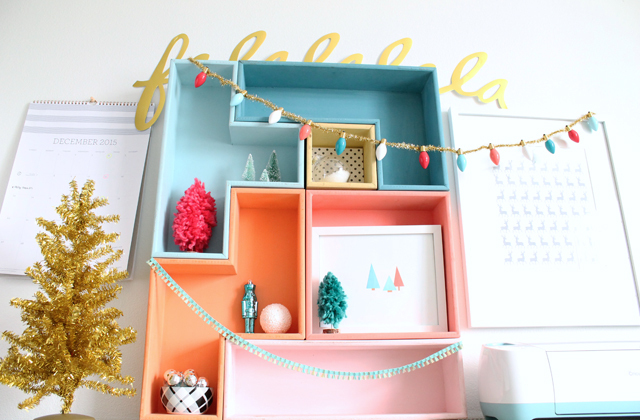 Okay, are you ready to try painting YOUR cabinets? I can honestly say I’m not a painter and this paint made it SO easy. 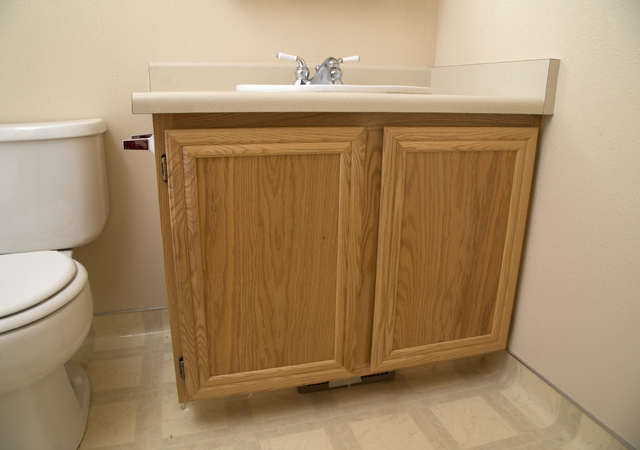 Start small with a bathroom if you’re intimidated. You can do it! I’m definitely using Satin Enamels to redo our kitchen this summer! Americana Decor Satin Enamels paint is currently available in ALL Hobby Lobby stores, Michaels and select JoAnn Fabric stores. 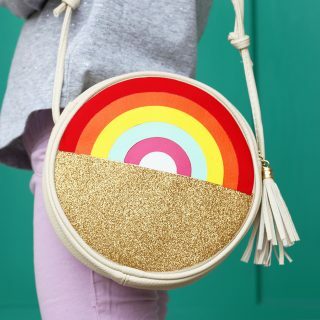 As a DecoArt Core Blogger, I have been given product and compensation in exchange for this post. All opinions are 100% mine. How many 8oz jars of paint did you use on the bathroom vanity? I used a little more than one jar, but I think it’s because I had to do 3 coats to cover the wood grain. 2 coats and one jar would probably normally be plenty! I just got new cabinets, but I really want to paint them. I have enough paint in my garage for one coat, but I see that you added a 3rd one. I think that I will go run to the store and get more paint and do the same, because minimizing the wood grain texture is a rally good idea! Excellent results. I like the new floor just as much as the cabinet. Is this type of paint kid and animal friendly? Meaning easy to wipe up marks and dirt? And just to make sure, this does NOT have a sheen on it, more a flat paint? Is this kid/pet friendly? Wipe off stuff easily? And this does NOT have a sheen to it? Well I’m a Decorator & I think u did an amazing job! I also have the same exact problem, RUGHT NOW & the same cabinet.. I also think u pick a wonderful & unique color!! Good 4 U? Also th3 flooring u put in us Perfect with the Color u painted ur cabinets. I am getting my kitchen redone this week. I want to make sure I get the kitchen of my dreams. I am getting some amazing cabinets made. It is going to be awesome! I’ll have to see if my contractor has heard of the satin enamels paint. I like that it dries durable and hard. That would be perfect for a kitchen.